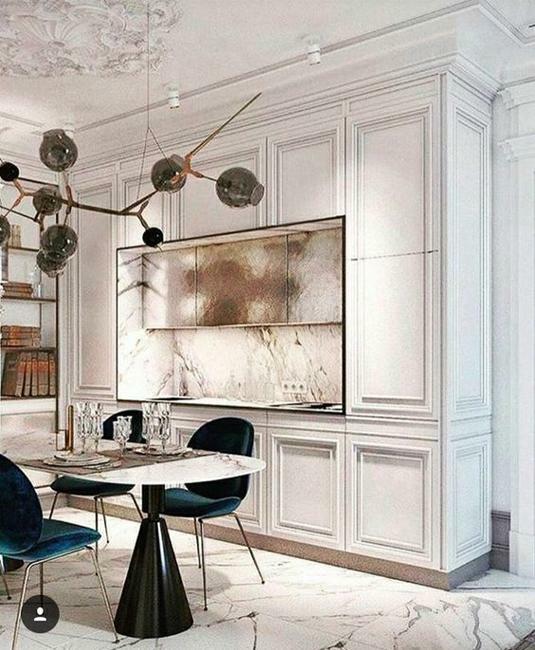 Metal accents are modern. 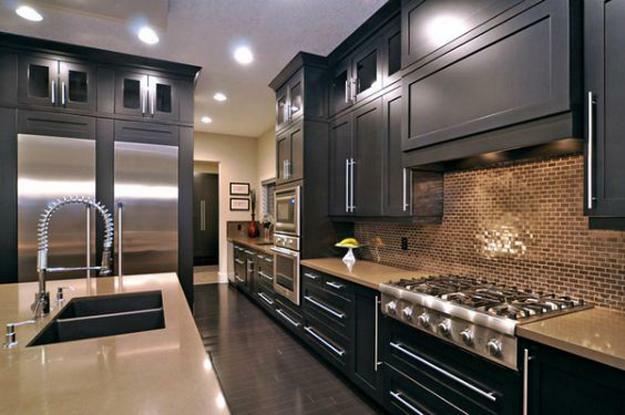 Slowly metallic accents and metal colors become one of the most popular trends in decorating modern homes. 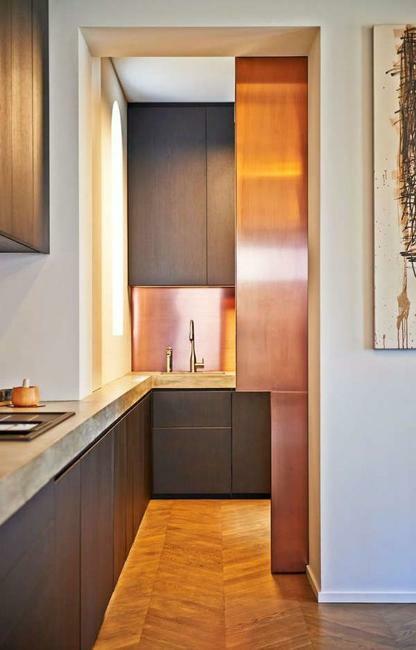 A kitchen design featuring cabinets with bronze handles, a copper hood or details of a kitchen island adds or a faucet has a modern appeal to any home. 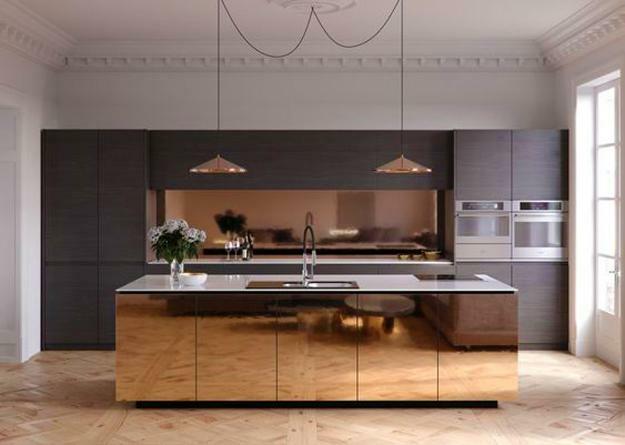 Copper and bronze colors are beautiful, warm, stylish. 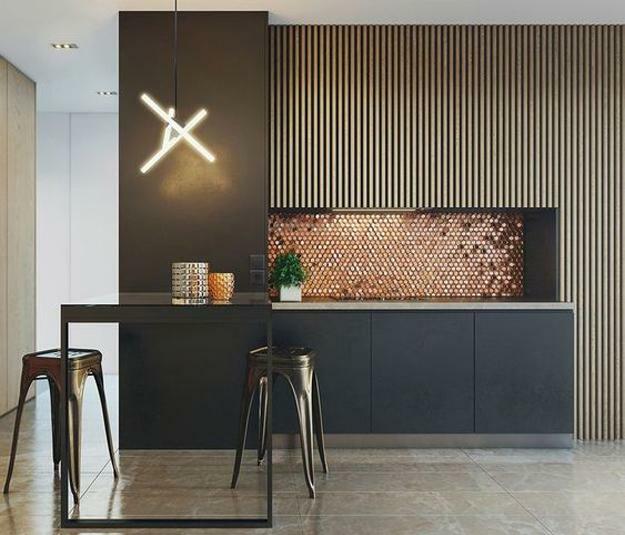 Reddish brown and orange accents bring majestic accents of beautiful metals. 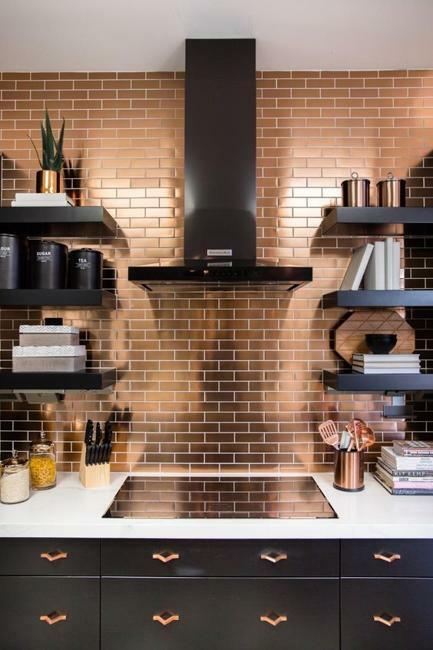 A bronze-colored copper hood, elegant kitchen lighting, copper backsplash designs, and warm metal tiles for walls add beautiful elements to modern kitchens and give them a complete look. 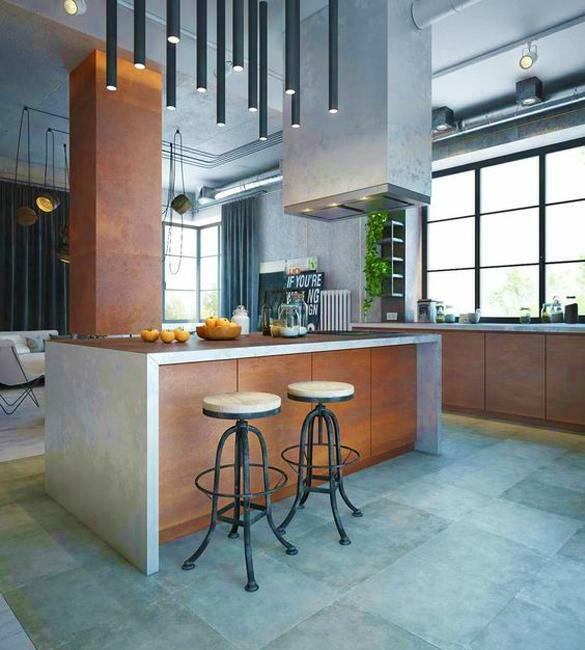 Beautiful, durable and versatile, metal tiles and home decorations are versatile and elegant, suitable for traditional and contemporary kitchen designs. 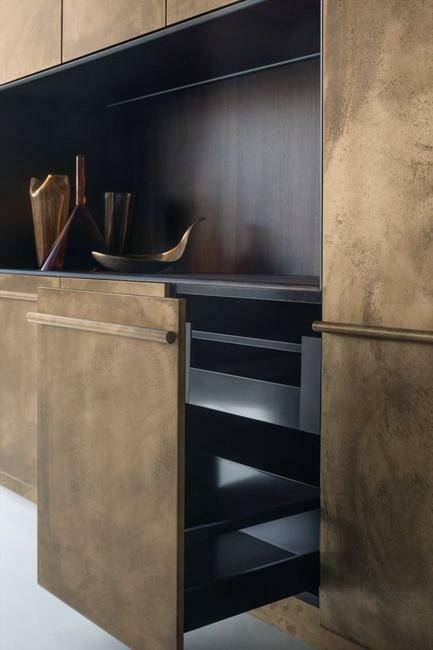 Copper and bronze colors work well in many applications. 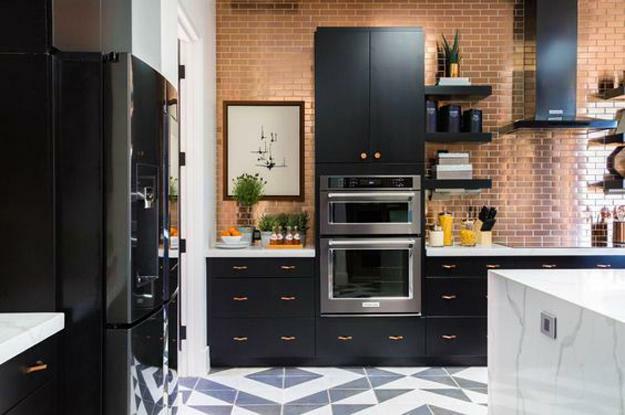 Metals make delightful accents, while these colors create warm and modern color schemes for practical, functional kitchen designs. 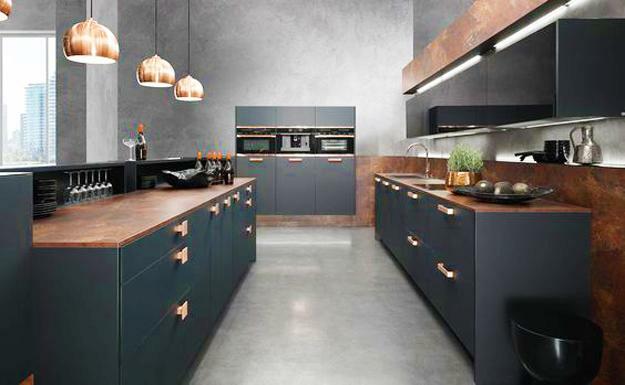 Lovely reddish brown colors, reddish-orange hues, brownish red color shades are excellent for balancing modern kitchen interiors designed in neutral colors. 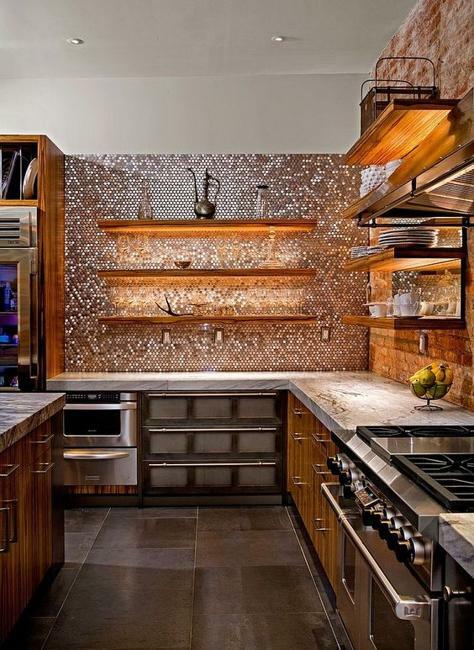 The appearance of the metal wall tiles can vary, but all tile designs enhance kitchen designs. 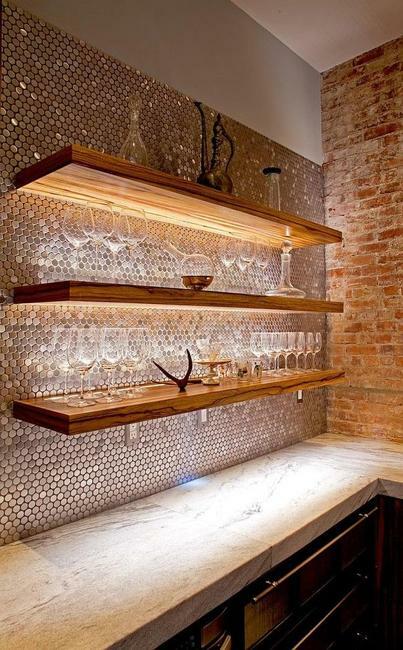 Metal tiles can be bright and shiny, textures, hammered or plain. 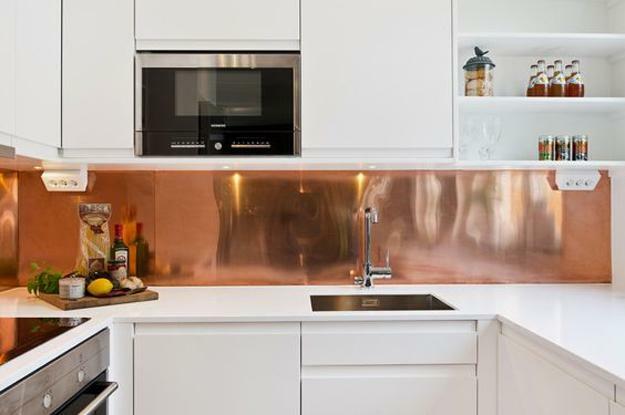 Copper backsplash designs not only provide functional and attractive wall surfaces but give a unique, exquisite look to modern kitchen designs. 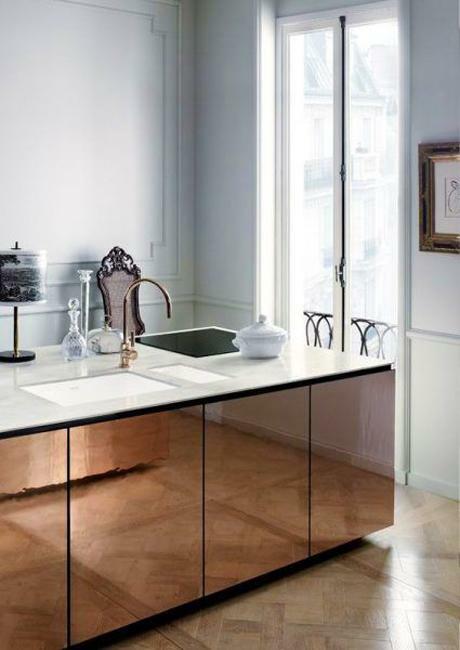 Copper designs are durable, hygienic, practical, easy to clean. 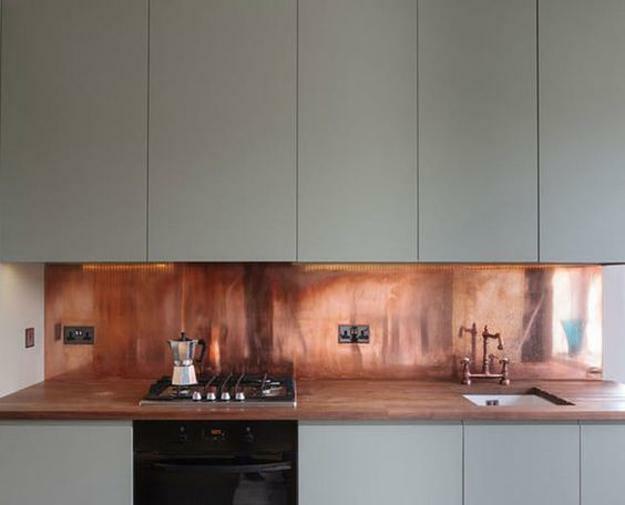 Also copper adds an artistic touch to kitchen interiors. 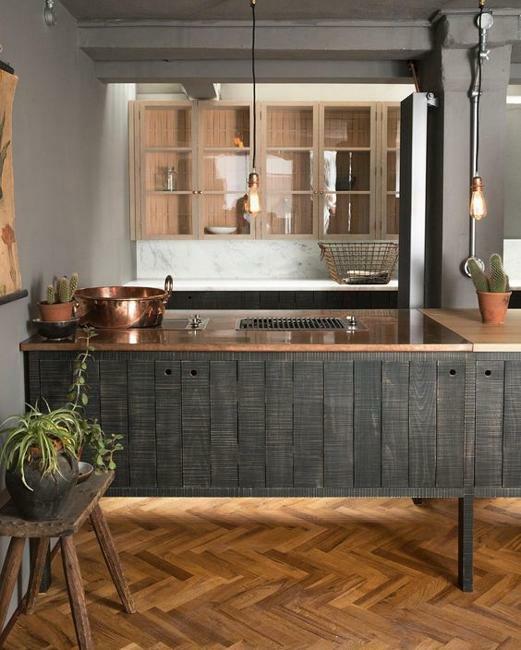 Copper accents for kitchens can come in many different styles, forms, and sizes, suitable for creating a rustic look or enhance a contemporary design. 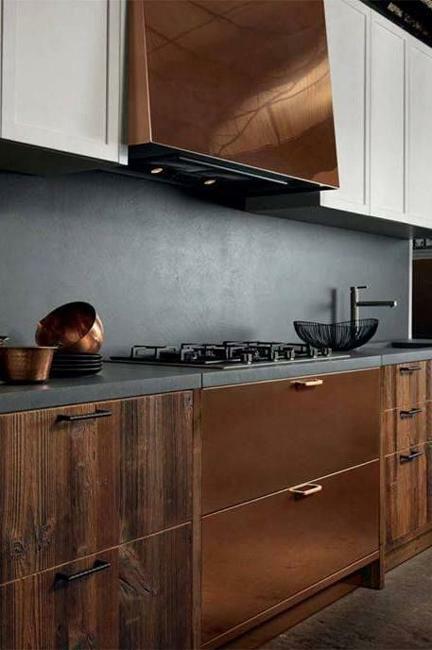 Copper and bronze colors bring an elegant look and beautifully accentuate modern kitchen interiors. 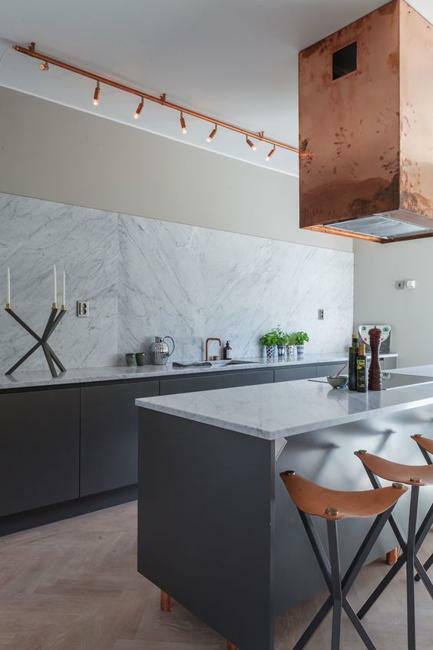 The warm color shades of copper and bronze provide a welcoming feeling to kitchens, making the spaces look nostalgic and familiar. 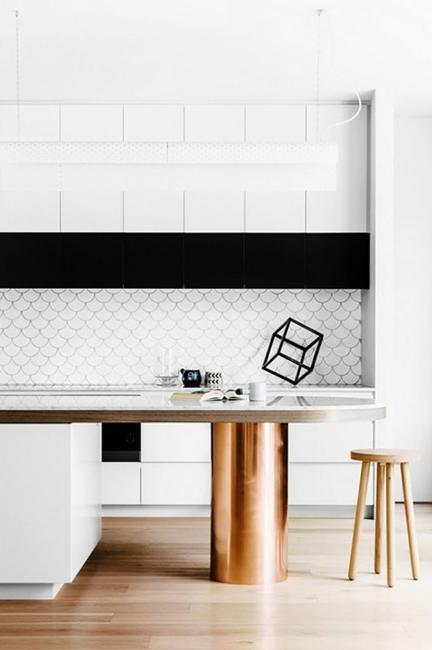 Metal accents turn kitchens into original and unique interiors. 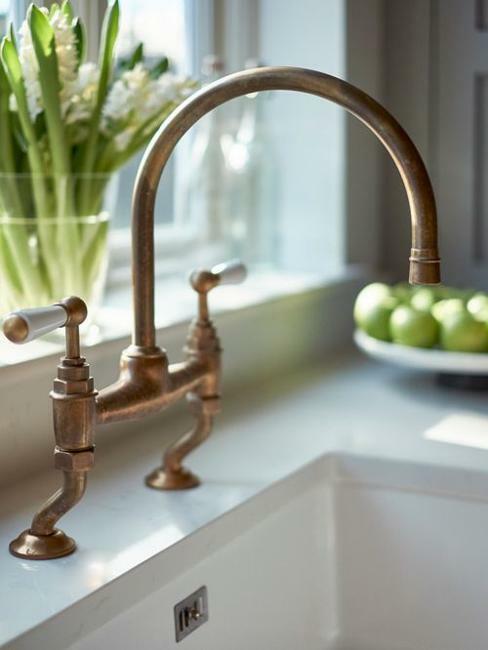 Whether you like kitchen backsplash ideas, faucets, handles, kitchen lighting, beautiful copper and bronze accents are modern ideas and practical solutions for personalizing traditional and contemporary kitchen designs. 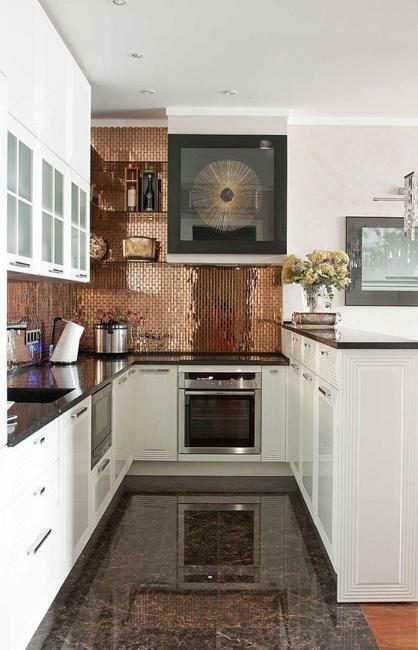 Metal details, decorative metal sheets, wall tiles add beauty and class to any kitchen. 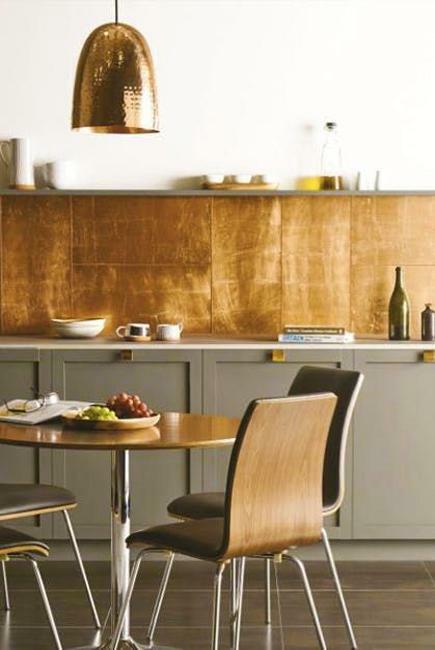 Copper wall tiles and decorative inserts make spectacular accents that brighten up modern kitchens.